The commercial refrigerator repair and fixing we do today at LA FixIt Appliance Repair Services is a lot different than the fixing process 10 to 20 years ago. A lot has changed with the new refrigerator technology and it’s important to stay up to date with the changes and technology. A lot of factors play into the engineering and design of creating a unique object that allows you drink fresh clean water, make ice, and of course (it’s main function) to keep your food fresh and cool. 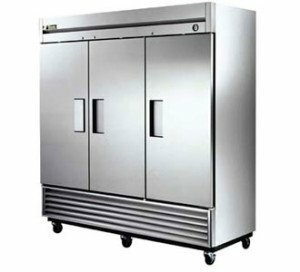 Commercial Refrigerators are a lot bigger than the average refrigerator on the market and require a lot more energy and power. They’re designed to meet the needs of employers working for a huge corporation (sharing the fridge); and especially restaurants and cafés that get a lot of traffic to their locations. 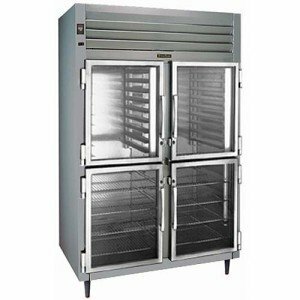 Catering companies require a commercial size refrigerator to stay in business to serve the needs of their clients. It’s no joke that when a minor (and especially a major) problem occurs to your commercial refrigerator, you’ll need to turn to the experts to get it fixed fast. LA FixIt Appliance Repair Services has been in business for over 25 years and been providing exceptional commercial refrigerator repair services to the greater Los Angeles area. Our in-house experienced technicians will drive out you for same-day service (especially if it’s an emergency). We understand the stress that goes into maintaining business operations, especially in the restaurant and catering business. You need an appliance repair company that will arrive fast, on time and repair your commercial refrigerator working like new. Appliance Repair Los Angeles Near Me? We keep our technical skills up to date by attending appliance training workshops and learning about all the new technology that’s coming out in the market. It’s important to understand all the little details that go into a commercial refrigerator repair. Our experience and understanding of repair keeps us on top as the go to appliance repair service for LA and surrounding cities. It’s no wonder that we have clients that been using our services for over 25 years. Our rates are extremely affordable combined with expert service and experienced licensed appliance technicians. We never have hidden fees (no hidden agenda), and have a dedicated customer service number to provide technical support and customer care. We’re professionals in in-house and in the field. Our company mission is to ensure that we’re Loyal to clients, brands and ourselves. Honesty and Integrity is in the forefront of our appliance repair duties. We have spent many hours and dedicated a lot of training to provide expert support and repair on all the major commercial refrigerator appliances you’re using. We’ll be happy to give practical tips on preventing any type of future damage. We have extensive understanding in extending the longevity of your appliance. It’s one of our core beliefs that transparency and an unchanging love for appliances is needed to ensure that the commercial refrigerator will be working effectively when where gone. Your emergency is our emergency and we try assist with preventing any type escalated technical issues due to an unprofessional repair. The stresses (and passion) of a running a business require money and capital. A commercial refrigerator is expensive and may not be worth because your older fridge isn’t working the way it used to be. We urge you at LA Fixit Appliance Repair Service to call our dedicated staff and ask for a free estimate. 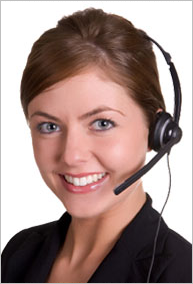 One of our highly trained technical support representatives will happy to help. All we need to know are the issues that are associated with your commercial refrigerator, the brand and a good time to schedule a service visit. LA FixIt will reduce the stress and hassle. 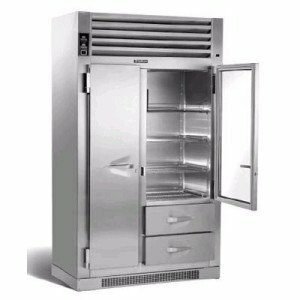 We have repaired all different issues associated with commercial refrigerators including its temperature, ice production, water filters, freezers, lights, its noise level, technology (touch screen) component, and control panel. We have all the necessary tools and technology (and experience) to assist with your entire commercial refrigerator repair. We service the greater LA community including all of the San Fernando Valley, Santa Monica, Beverly Hills, Calabases, Thousand Oaks, and Hollywood.